The 'extreme magnitude' of three 2016 weather events 'would not have been possible without human-caused climate change,' an American Meteorological Society report says, for the first time finding a causal relationship. Explaining Extreme Events of 2016 from a Climate Perspective, published as a supplement to the Bulletin of the American Meteorological Society (BAMS), is AMS’s sixth annual report on extreme weather events. It was officially released and presented on December 13 at the American Geophysical Union’s fall meeting in New Orleans. The report includes 27 peer-reviewed scientific papers. Authors of those papers examined 21 different extreme weather events around the globe in 2016 – including wildfires in North America and Australia, droughts in South Africa and Brazil, cold snaps in Eastern China, and an anomalous body of warm water in the Pacific Ocean. Of the 27 papers presented in the AMS annual report, 18 found that anthropogenic, or human-caused, climate change influenced the event they studied. But three papers in particular concluded that the extremes of three of the events they examined would not have happened in the absence of that human-caused climate change. None of the 104 papers published in the earlier AMS annual extreme weather annual reports since 2010 had made that claim – although scientists had already known that climate change could alter the risk of some extremes in weather, said Jeff Rosenfeld, editor-in-chief of Bulletin of the American Meteorological Society, at a press conference at the AGU meeting. “Finding multiple extreme events that weren’t even possible without human influence makes clear that we’re experiencing new weather, because we’ve made a new climate,” Rosenfeld said in that statement. Tom Knutson of NOAA and colleagues found that record warmth globally in 2016 “would not have been possible under climate conditions of the early 1900s—anthropogenic forcing was a necessary condition … for the event.” Knutson’s paper, CMIP5 Model-Based Assessment of Anthropogenic Influence on Record Global Warmth During 2016, is in Chapter 3 of the report. John Walsh of the University of Alaska and colleagues found that a large and persistent area of warm seawater off the coast of Alaska – often referenced as “the Blob” – was unprecedented in the historical record. “Both anthropogenic forcing and internal variability were necessary for the extreme warmth of the subarctic seas,” they wrote. Their paper, The High Latitude Marine Heat Wave of 2016 and its Impacts on Alaska, is in Chapter 8 of the AMS report. Yukiko Imada of the Japanese Meteorological Agency and colleagues examined extreme, record-breaking warmth across Asia in 2016. “All of the risk of the extremely high temperatures over Asia in 2016 can be attributed to anthropogenic warming,” the authors concluded. The paper, Climate Change Increased the Likelihood of the 2016 Heat Extremes in Asia, is in Chapter 19 of the report. Scientific research on attribution of severe weather events to the changing climate has advanced rapidly in recent years. Many scientists continue to emphasize that the research to date is by no means definitive when it comes to specific weather events and all types of events. They often emphasize too that the changing climate may worsen, rather than “cause,” a particular severe event. Attribution research has been among the most closely-watched areas of climate science, as many see research pointing to a stronger link between climate change and severe weather having policy implications involving regulation and/or pricing of carbon emissions. Climate scientists have been predicting that the influence of human-induced warming would at some point push extreme weather events “beyond the bounds of natural variability alone,” the report’s introduction points out. It was also anticipated – correctly – that the climate change signal would most clearly and initially be seen in events related to heat (as opposed to snowstorms, for example). What about past extreme weather events? It is possible that many of those too occurred only because of human-caused climate change, and it’s worth going back into the scientific record of those events to pin that question down, she said. The scientists emphasized that the forces unleashed by climate change do not act alone to trigger extreme weather events; natural variability is still a significant player in all of them. food shortages related to drought in southern Africa were made more intense by climate change. About 20 percent of the studies in the 2016 report found little to no connection between climate change and extreme weather events in 2016. These included snowstorm Jonas, which hammered the East Coast in January of that year; the failure of the El Niño to increase rainfall in Southern California; and a drought in northeast Brazil. In his remarks at AGU, King said that the signal of human-caused climate change will continue to be the clearest in regions where warming is occurring very fast, such as the Arctic, and where year-to-year variability is very low, such as in the tropics and in the world’s oceans. Some of the papers in the latest report address the environmental consequences of extreme weather events around the world in 2016. One of them connected anomalously high sea surface temperatures and the accumulation of thermal stress caused by human-caused climate change to coral bleaching (mentioned above). Another examined how high ocean temperatures led to reduced fish stocks in the California Current, and sea birds in the equatorial Pacific. Yet another found that human-caused climate change led to a warmer winter on the Iberian Peninsula, and, when followed by a wet spring, resulted in increased ecosystem productivity – a positive impact. 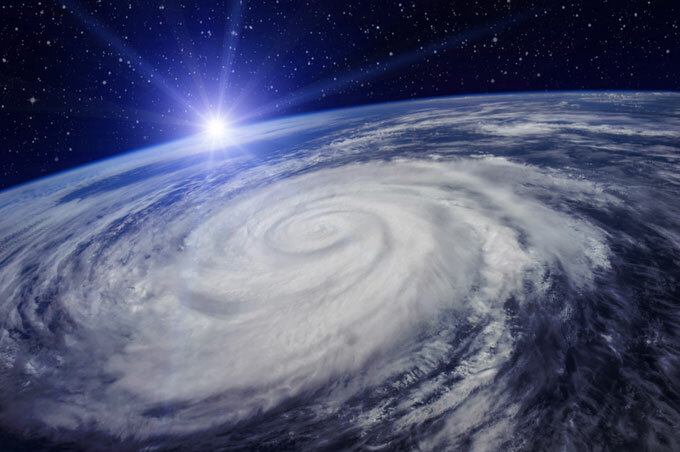 Studying these connections between extreme weather events and their environmental consequences can help policymakers and humanitarian aid organizations around the world, the scientists said. Past analyses in the annual BAMS report linked changes in ocean temperatures in the Western Pacific to drought in East Africa. Those studies led to a prediction of drought in East Africa in 2016-17, and the delivery of food aid in Somalia. A better understanding of the connection between climate change and extreme events also should help people who manage water, electricity, and other resources potentially vulnerable to environmental changes, added Rosenfeld, the AMS BAMS editor.